One Man Left Studios began its journey into the realm of video game development with mobile games. 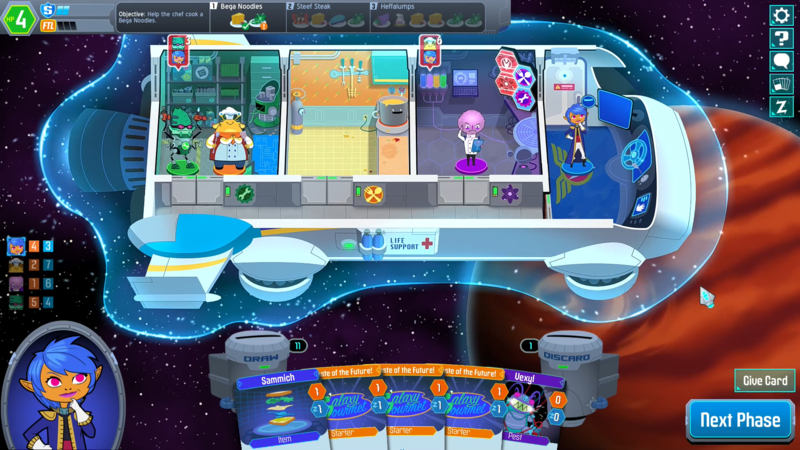 With Space Food Truck, the two-man team looks to shift to the PC and delve into the world of deckbuilding titles. We spoke with Adam Stewart and Alex Okafor about their latest title, balancing difficulty, and what's the most important piece to get right. Co-Optimus: Thanks for taking the time to talk with us. Would you mind starting things off with a little background on One Man Left Studios? Adam Stewart: We're a two man company. Alex Okafor is our software developer and I (Adam Stewart) handle art, animation, and writing. We both collaborate on game design decisions. We originally met in an elementary school in Alabama, and in 10th grade or so (2002) we were at the same high school and started collaborating on little game experiments. We entered some Xbox Live Indie Game competitions, which is where we won my Xbox 360. I can't recall a time since 10th grade that we haven't been messing with some game project or another. Our first commercial release was Tilt to Live in 2010, which was really well received and allowed us to go pro. Co-Optimus: When you first came up with the idea for Tilter Space (later Tilt to Live), did you think it would land as well as it did? Adam: Oh hell no. We were both working full time in other industries. We thought we needed a whole back catalog of games to afford to go full time as developers. It was surreal. Co-Optimus: From a design perspective, what do you feel was key to its success? Adam: We haven't been able to replicate that level of success, so take this answer with a grain of salt. I would say it was the right game on the right platform at the right time. It was accessible, short-form, and it was very specifically designed with iOS and mobile play in mind. 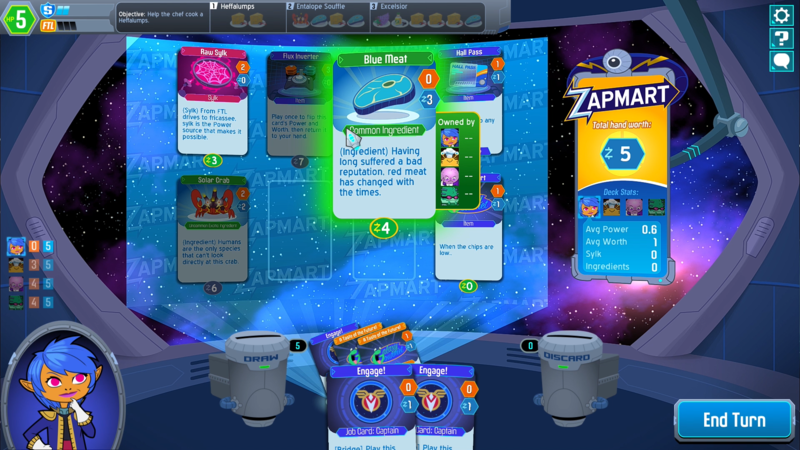 Co-Optimus: After a couple of sequels to Tilt to Live and the turn-based strategy game Outwitters, you are now focusing on your first PC title, Space Food Truck, a cooperative deckbuilding game that puts players in charge of an interstellar food truck crew that cruises around the galaxy in search of ingredients so they can make some delicious dishes. Before we parse all of that out too much, why the jump in platforms? Has the idea/plans for this title been in the works for some time? Adam: Mobile has changed a lot since 2010. Our last premium game didn't do well on the platform at all, and from what we experienced with Outwitters, free to play wasn't a guaranteed slam dunk either. So we first started looking at other platforms from a business standpoint, then we realized PC had a lot of appealing differences to what we were used to. Our game could take more than 30 seconds to explain without losing people's attention. You didn't have to cater so much to casual gamers or non-gamers. So we started prototyping, and Alex came up with this crazy idea. He loves tabletop stuff, and I recall him saying he was looking for a very particular kind of co-op deckbuilding game to play with his friends. He had a hard time finding it, so he decided to just make it. He'd been picking away at a space travel simulation idea since forever, so those two ideas made a baby, and that was Space Food Truck. It's the most complicated thing we've ever made, we had no idea what we were getting into, and we've learned a lot just diving in. Co-Optimus: There are a few mechanics here and there that remind me of other deckbuilding games, but were there any in particular that were an inspiration? Alex Okafor: Cooperative play was always at the heart of the space travel sim prototype I had. But I couldn’t find a mechanic I was satisfied with. It wasn’t until I came across deckbuilders over a year later that a central mechanic finally clicked. I was inspired by the feeling of constant crisis and calamity from FTL, as well as its sense of exploration/camaraderie between crew mates. “Legendary Encounters: An Alien Deck Building Game” has a cooperative setting rather than the typical PvP you’d see in things like Star Realms or other card games. Neptune’s Pride/Neptune’s Pride 2’s was kind of the game that seeded the idea for SFT. I liked having a huge galaxy to explore and interact with other players in semi-realtime/slow-time. I really loved the idea of making something similar to that but less adversarial and more cooperative in nature. This kind of set off the chain of ideas and prototypes that ultimately led to SFT. Granted, looking at SFT now it’s a far cry from that original inspiration in terms of mechanics/gameplay. Adam: For my side of the design, the only deckbuilding game I've ever played was the DC Comics one, so there was more critical thinking than inspiration. We have these four roles defined: Engineer, Scientist, Captain, and Chef, and we knew the game was about jumping around a big galaxy map and crafting recipes. From there it was a whirlwind of adding and removing elements to accomplish our design goals: making the roles feel as different as possible while keeping them as thematically consistent as possible. So we'd have very sophisticated meetings on topics like "what mechanics would make the Scientist's job feel more science-y?" Page created in 0.2498 seconds.